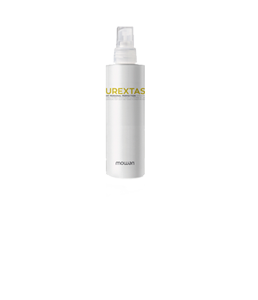 Tailored and conceived to provide softness, elasticity and shape, PUREXTASY MY PERSONAL PERFECTION is the right line for frizzy and curly hair. Indeed, the active principles in Purextasy My Personal Perfection Smoothing shampoo, Purextasy My Personal Perfection Smoothing conditioner and Purextasy My Personal Perfection Smoothing spray help achieve an incredible anti-frizz effect, disciplining hair flawlessly and making them silky and soft. INDICATED FOR: For rebel, frizzy and curly hair. BENEFITS: Hair are disciplined, regenerated and shaped*. Soft and easy to untangle. Wheat is a cereal that has been cultivated from ancient times, in an area between the Mediterranean Sea, the Black Sea and the Caspian Sea, known as the Fertile Crescent. Wheat proteins contain similar amino acids to those that make up our hair. This active principle helps discipline them, eliminating the frizzy effect and giving strength and glow. Flax oil is extracted from the seeds of the homonymous plant, the oldest plant fibre existing in the world: it was born at least 7000 years ago in Mesopotamia. It is derived from a plant, Linum Usitatissimum, which grows between April and May and flowers between June and July. Flax seed oil is a natural source of Omega-3 fatty acids, nourishing, moisturising and disciplining hair. Mode of use: apply on wet skin and hair by massaging. Rinse and continue the treatment with My Personal Perfection Smoothing conditioner. Mode of use: apply on skin and hair, moistened by a damp towel. Leave in place for 3 minutes, rinse and continue the treatment with My Personal Perfection Smoothing spray. Mode of use: spray on damp or dry hair without rinsing. It can be used daily. Shake before use.